I don’t think there’s been one book I’ve given up on this year, but there are several books that I’ve started, read a few pages, or even a few chapters, and found them difficult to get into, so I’ve stopped reading them. But I haven’t abandoned them as the right time to read them could come round sooner or later. I don’t do much re-reading, although I’d like to. 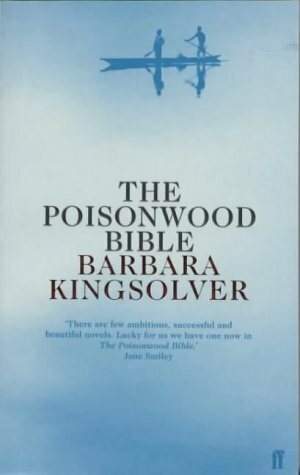 The last book I re-read was The Poisonwood Bible by Barbara Kingsolver, one of my favourite books. 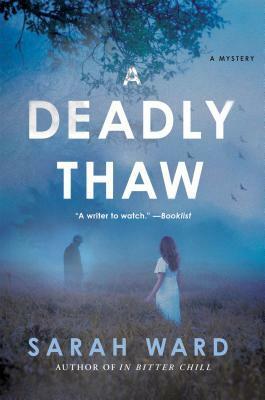 That was Sarah Ward’s A Deadly Thaw – her second book, just before Christmas. I loved her first book, In Bitter Chill. And I have a few to catch up with as she has now written books three and four in her DC Childs series. I’ve never said I’ve read a book when I haven’t – although there are books I think I’ve read and then when I look at them realise that I haven’t – I’ve just known about them, or seen a dramatisation. I’ve only written (and underlined/highlighted) in books I’ve been studying for a course – otherwise I don’t. One of the benefits of reading e-books is that you can highlight and make notes to your heart’s content without spoiling the pages. And for ‘real’ books I have a tin of little book darts to mark pages of interest, as well as ordinary bookmarks. 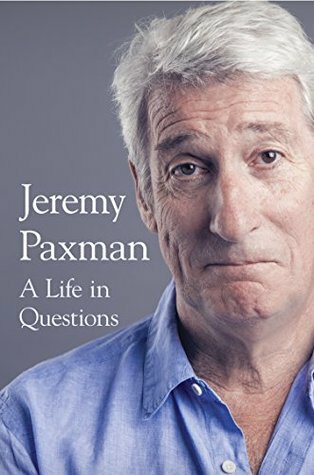 That was by Jeremy Paxman when he visited Mainstreet Trading to talk about his book, A Life in Questions. 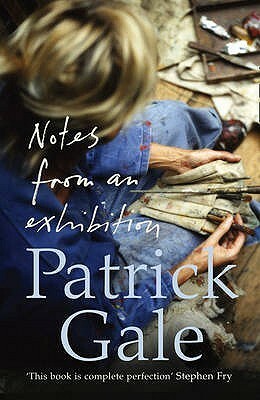 That was Notes from an Exhibition by Patrick Gale – but I hadn’t actually lost it – I just hadn’t put it back where I thought I had. I was going to buy another copy but luckily I found it in a box of books to return to the library! 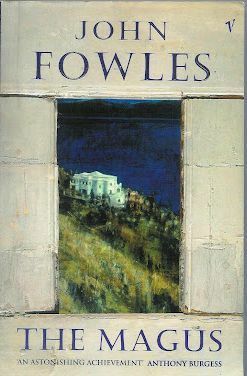 The Magus by John Fowles because it was chosen by my book group to read earlier this year. I’d read it years ago and given it away, so I bought the e-book version to re-read it. I can’t remember ever arguing over a book – discussed yes, but actually argued over, no. See no 7 above. I often misplace books. It’s mainly because they’re double shelved and end up out of the original a-z author I’d shelved them. And I’m not very good at putting them back on the shelves in the right place. Yes, they are! They’re great as they don’t leave any marks on the page and you can pinpoint the exact sentence if you want to. Yes, I was looking at the book darts as well. Where did they come from? I rarely argue over books but there was one reading group discussion that practically turned into open warfare over Philip Pullman’s ‘The Good Man Jesus and the Scoundrel Christ’. I really objected to it, not on religious grounds but because I thought Pullman was doing precisely what he was accusing the Church of: retelling the story for his own purposes. I got the book darts from Amazon. The ones by Papilionaceous that I got three years ago are no longer in stock on Amazon. They’re currently selling Book Darts mix (Silver Gold Bronze) 50 darts in the tin by Book Darts. I haven’t read that Pullman book but wondered what it’s like – I think I could well agree with you though about him telling the story for his own purposes. Would you recommend reading it? I wouldn’t, but the person on the other side of the argument thought it was great. What was interesting to me was that I went into it thinking that I would appreciate it. I am not religious and I thought the argument he made in His Dark Materials was valid. However, this came over as a polemic. Mmmm – not sure I’m not religious either. Maybe I’ll see if I can borrow it from the library. Definitely don’t spend good money on it. What a great tag, Margaret. And you’ve got some great answers here. I agree with you about not writing in the margins of books – it’s not something I do, either. But I do like the way Kindle allows you to highlight and make notes. Highlighting etc on Kindle is just one of the benefits of e-books – I also like the ability to enlarge the text and search the book, and the x-ray option too. So glad you enjoyed my post – I’ll come over to read yours. Enjoyed reading your answers to the questions, Margaret. Those little book darts are cute. That being said, I read so much more on my Kindle these days and I do like the highlight function. Also, no corners to turn down (not that I turn corners down – ha!). I say, use a bookmark!